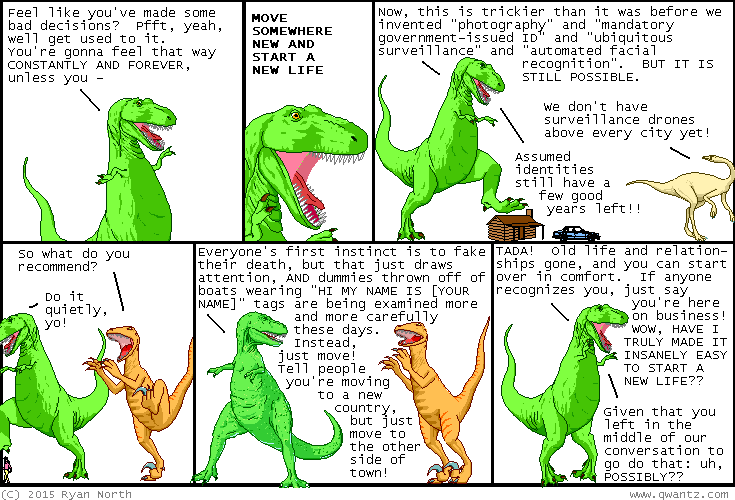 Dinosaur Comics - April 6th, 2015 - awesome fun times! –Check it: once upon a time there was a beautiful little prince! April 6th, 2015: HOLY CRAP, I just realized "assumed identity" means that you've ASSUMED it, not that everyone just ASSUMED you were who you said you were. MY MIND, SHE IS BLOWN.